Chana pulao is generally made in North India. It is a very easy and quick recipe with lots of nutrients. 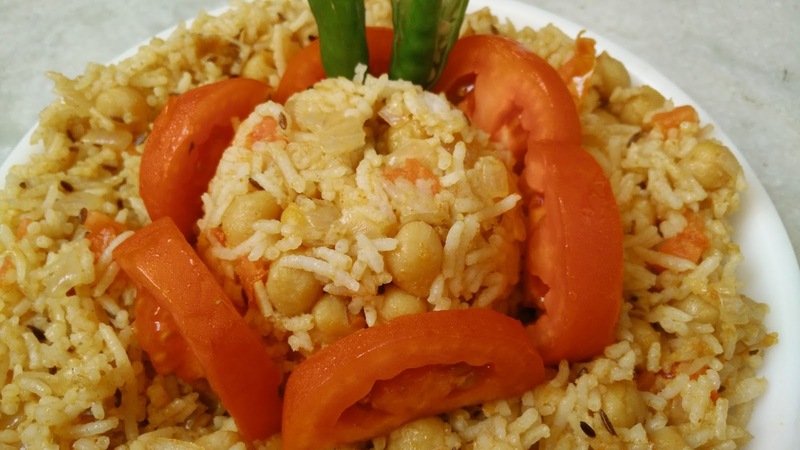 It can be made with left over rice or using boiled rice which are tossed with Chickpeas or chana. In a Kadai or non stick pan, heat oil and splutter zeera, garlic. Saute onions and add boiled chana along with all spices. Add boiled rice and cook for little time. Allow it to cool and once cool add lemon juice. Garnish with chopped tomatoes and serve with curd.